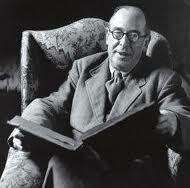 « Meditations with C. S. Lewis: A More Clever Devil…. Good point. ‘Til We Have Faces gives the more subtle portrait masterfully, as we watch the deception happening oh so plausibly in the mind of the central character with whom we identify. I think there are moments of it in LOTR too, though. Denethor comes to mind. He thought he was serving Minas Tirith in the best way available. He went from idealistic patriotism to realpolitik to cynicism to despair. We only see him at the end of the process, but the whole journey is implied in the narrative. Theoden is another example (he thought his inaction was best for his kingdom) who was fortunately redeemed in time. And Pippin: his curiosity was spinnable as innocent in his mind until after the fact. Great point with Denethor and Pippin. I’d even forgotten about Pippin, how even his attraction to something evil looked innocent to him. Another great job with this article (you’ll see I’m reading them in reverse order of your publishing!). I especially like your distinction between merely depicting effective and sympathetic evil and actually showing how it still remains evil even if there is a complex human being behind it. This division alone warrants a more in-depth discussion, with examples. It reminds me of something so impressive about Robert Louis Stevenson’s Treasure Island. Pop culture sees that story as the definitive romantic view of pirates, but the actual book makes it quite clear that piracy is evil, and that the pirates are degenerate, desperate, criminal people. A reader who pays attention will come away from that book certainly with sympathy for Long John Silver, but hoping for his redemption, and not wanting to imitate him.